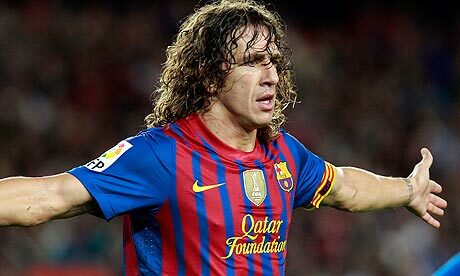 Barcelona captain Carles Puyol has announced he will be leaving the Spanish champions at the end of the season. The 35-year-old Spain international had a contract with Barca until 2016 but has reached an agreement with the club to rescind the final two years of the deal. Puyol, who has spent his entire career at Barcelona and made his first-team debut in 1999, made the announcement at a press conference today. Puyol said “I want to announce that at the end of the season I will no longer be a Barcelona player. The defender, who only signed his contract extension with Barca a year ago, has seen his career disrupted by injuries.